reason « CONSTABLE RESEARCH B.V.
You can always find an infinite amount of equations that fits a finite set of points. When the set of points changes the equation changes. This represents a major problem when you want to find a general pattern. The solution is to assume that the pattern behind the set of points has to be a Simple Equation (or a Simple Law). A theory has to be simpler than the data it explains, otherwise it does not explain anything. To define Simplicity we have to define a tool that measures the simplicity of an equation. Mathematicians have tried to solve this problem in many different ways. The problem seamed unsolvable until computers and software-languages were invented. A law of nature is a piece of software, a computer algorithm, and instead of trying to measure the complexity of a law via the size of an equation, we now consider the size of programs, the number of bits in the software that implements a theory. If every theory is represented by a string of bits we are able to analyze what a computer (our “thinking mind”) is able to represent. The problem is transformed to the problem of representation. Behind this problem lies the problem of Compression. Our Reality is represented by the simplest equation (the shortest (most compressed) binary set) that when it is expanded represents the most complex binary set that represents our reality. One of the conditions we have to add is the condition of “understand ability”. Perhaps the expression exists but we are unable to grasp the law. Leibniz calls this law the principle of sufficient reason. Leibniz formulated this principle as follows: “Dieu a choisi celuy qui est… le plus simple en hypotheses et le plus riche en phenomenes” (God has chosen that which is the most simple in hypotheses and the most rich in phenomena)”. “Mais quand une regle est fort composée, ce qui luy est conforme, passe pour irrégulier” (But when a rule is extremely complex, that which conforms to it passes for random)”. 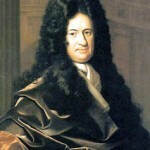 The interesting point in the statements of Leibniz is de term “irrégulier“. It is translated by the term “random“. This term can be interpreted in many ways. In the world of Statistics it means that a certain event is unpredictable. In algorithmic terms it means that we are unable to find a pattern behind the pattern we observe. A random pattern is an essential pattern. It cannot be compressed. Science ends when we have found randomness and have reached the Limits of Reason. Everybody has a Limit of Reason and this limit expands in time but for every mind that will be born there is an absolute limit of Reason. When we have reached this limit we will know there are still patterns to find but we will be unable to prove they are real patterns. 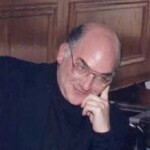 Gregory Chaitin is the expert of the Limits of Reason and he is highly influenced by Leibniz. By running a program you can eventually discover that it halts, if it halts. When it halts you have found a theory. The problem is to decide when to give up on a program that does not halt. A great many special cases can be solved, but Turing showed that a general solution is impossible. No algorithm, no mathematical theory, can ever tell us which programs will halt and which will not. We are never certain that we have found a theory because when we wait a little longer (collect more facts) we find the final theory that explains what we want to explain (if we understand the theory). We could use a computer to search for patterns (this happens already) but the computer presents an incomprehensible theory (this happens already) or it has to search a little longer. A computer could run “for ever” when there is enough energy but a human has a fixed lifetime. The halting problem shows that we will not know how long “for ever” is. We also will not have enough minds to analyze the output. The Halting problem is proved to be unsolvable. Chaitin defined a constant Ω that shows our progress in reaching the Limit of Reason. It shows our progress to reach the Incomprehensible. The Halting Problem cannot be solved because we (the Humans) are unable to define the Limits of Reason. Even the Brightest Minds will not be able to understand all the patterns that are available in Our Universe. Even Mechanical Devices programmed by the Brightest minds will not solve the Mystery. Somewhere we will make a Mistake. The Mistake will start a new process of Inquiry and New Theories will be created that will always contain a Mistake. We will be Busy until Enternity to Create because we are not perfect. Only Perfect Solutions are Impossible. I want to close this blog with a statement of Leibniz: ”Sans les mathématiques on ne pénètre point au fond de la philosophie. Sans la philosophie on ne pénètre point au fond des mathématiques. Sans les deux on ne pénètre au fond de rien”(Without mathematics we cannot penetrate deeply into philosophy. Without philosophy we cannot penetrate deeply into mathematics. Without both we cannot penetrate deeply into anything)”.